Free Shipping Included! 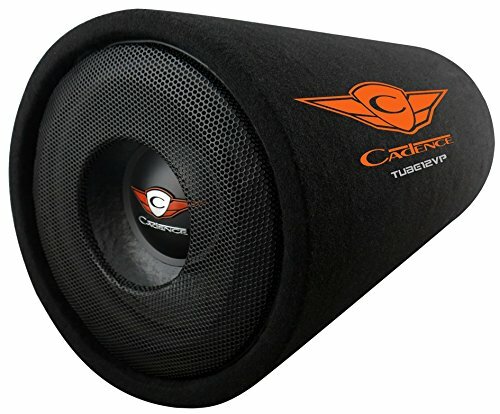 Cadence TUBE12VP Tube 12VP 12 Inch Passive Tube Vented Box by Cadence at All Seven Seater Cars. MPN: TUBE12VP. Hurry! Limited time offer. Offer valid only while supplies last. 12'' passive tube Vented box. High temperature voice coil. High strength MICA filled polypropylene cone. Diamond cut dampened cast aluminum frame. View More In Speaker Boxes. 12" passive tube Vented box. High temperature voice coil. High strength MICA filled polypropylene cone. Diamond cut dampened cast aluminum frame. External Crossover 14 gauge wire terminals. If you have any questions about this product by Cadence, contact us by completing and submitting the form below. If you are looking for a specif part number, please include it with your message.